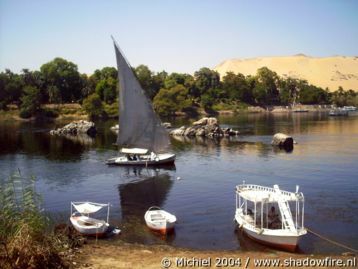 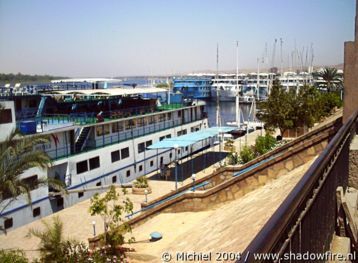 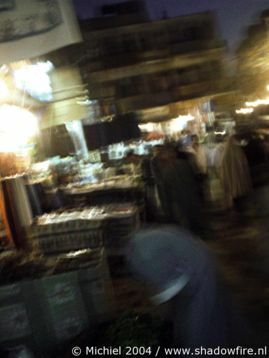 "Welcome to Aswan." 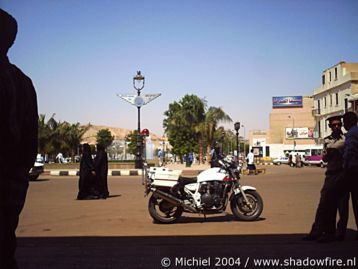 The square in front of the station. 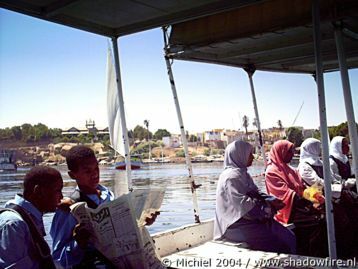 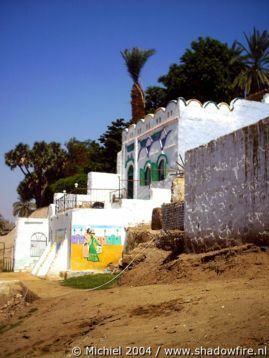 This is how some modern Nubians live on the island. 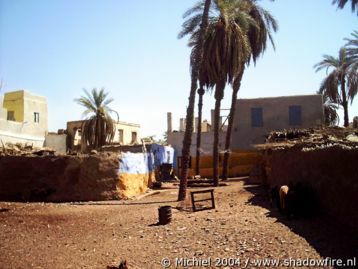 Square with a goat hiding in the shade (r). 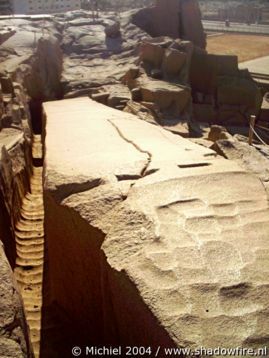 Close-up of the ancient Egyptian unfinished obilisk. 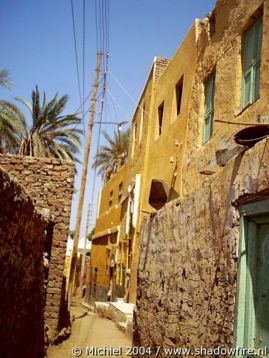 The crack shows the reason why it was abandoned. 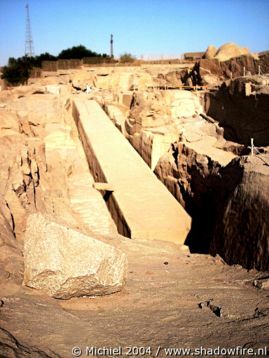 Made by the orders of Seti I, if it would have been fininished, it would have been the largest obilisk carved out of a single rock in the world. 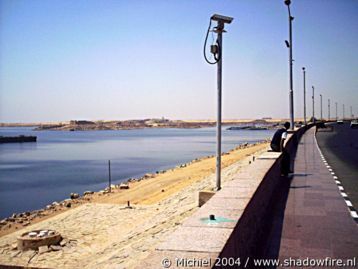 The infamous Aswan dam, for which they relocated the Abu Simbel temple complex.